With Better Call Saul nearing the end of its second season, one has to wonder how it will all go down. With Mike (Jonathan Banks) now in deep with the cartel and his granddaughter Kaylee (Abigail Zoe Lewis) life being threatened; slowly but surely we seem to return to the shady crime roots of Breaking Bad. Though one of my chief complaints, Jimmy/Mike’s lack of actual interaction, doesn’t seem to be changing in the near future. This has always been one of my biggest point of contention with Better Call Saul as it never has Jimmy (Bob Odenkirk) and Mike’s narrative arcs actually intertwine at all unless it’s for the smallest of scenes. It also seems like we will see the backlash and ramifications for Kim (Rhea Seehorn) decided to leave H&M for her own business with Jimmy. It also seems from the brief preview we were given that Chuck (Michael McKean) apparently suffers some sort of heart attack or stroke, based on his reaction. Though what the full cause/circumstances still remain a mystery. 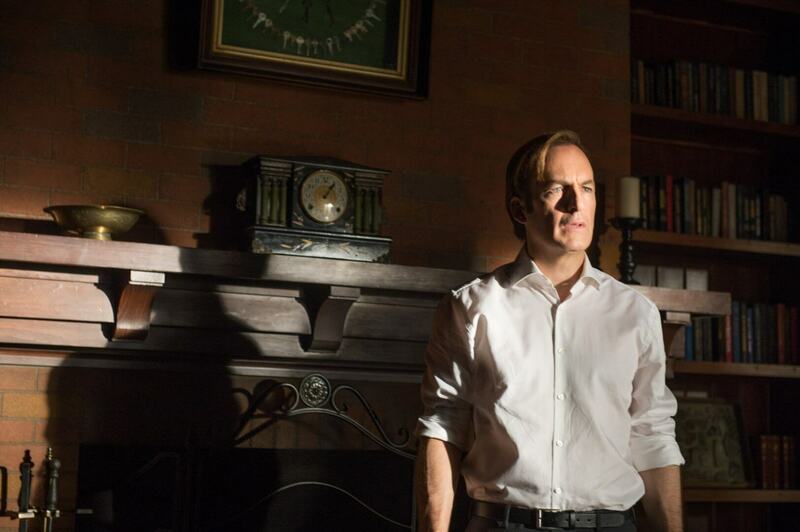 In the meantime, make sure to check out next weeks preview photos for Better Call Saul below!